You know that 99% of text messages are opened within the first five minutes of delivery, right? Now, keeping that insane statistic in mind, it’s easy to see how efficient this communication method can be. 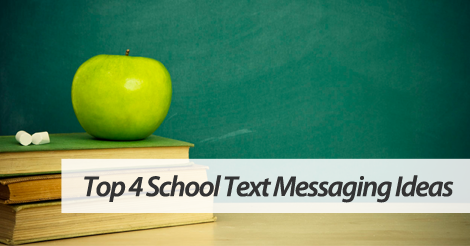 Most of the time, we’re talking about the benefits of text marketing, but today, we want to dive a bit deeper into school text messaging. Although thinking of the worst case scenario can leave you feeling uneasy, that doesn’t mean it’s not possible. Why not be prepared? With our school texting solutions, you can easily send out an alert that notifies parents of an emergency situation. If you’re on a college campus, you can text students safety instructions in an instant. This is not a drill. Please evacuate campus immediately via the South Exit. Drop the at home phone calls or radio announcements. Severe weather calls for instant notification. Fire out one text message alerting all staff and student body of any delays, closings, or cancellations. Due to severe weather conditions, Professor Johnson is canceling his 645PM evening class tonight. Continue working through Chapter 6 exercises. Reserve this situation for special circumstances that require a mass alert. Don’t rely on an email chain, as your message could definitely get lost in a spam box or not opened at all. Sending a note home with a child? So 90s. Hop on board modern day communication methods with text messaging for schools. We’re sending home a fire safety packet! Please read through with your child, initial, and return by Friday. Partner up with top school texting service, SlickText.com. Give us a ring at 1.800.688.6290 or click over to the pricing page, and sign up for your free plan. We make text messaging super easy with our innovative and streamlined solutions. Keep everyone in the loop with text messaging for schools and educational institutions.